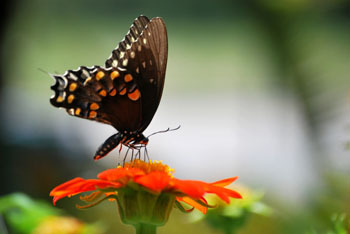 TAMPA, Fla. -- The University of South Florida Botanical Gardens is hosting its 14th annual Butterfly, Herb and Native Plant Fair June 9-10. Along with butterfly gardening and herb growing tips, vendors at the fair will be selling a variety of butterfly plants, herbs and native plants. On Saturday, June 9, there will be five workshops: Tea Talk by Kalaisia Teas at 11 a.m., Growing Tea Plants and Butterfly Gardening with native plants at noon, and Growing Herbs for Teas, and Butterfly Garden Tour and Talk at 1 p.m. Admission for the general public is $5 and free for children 12 and under and USF Botanical Gardens members. Parking is free. Proceeds support the USF Botanical Gardens. The USF Botanical Gardens are located at 12210 USF Pine Dr. For more information call (813) 974-2329 or visit the garden's website.